Sanofi won approval in the U.S. for Lemtrada a treatment for multiple sclerosis helping ease the potential revenue loss by the company from Lantus its top selling drug for diabetes that will face new competition in 2015. The United States Food and Drug Administration approved the drug for those patients that have multiple sclerosis that is defined by relapse and remission periods, which is the most common form of the disorder. The FDA initially denied the request by Sanofi to sell Lemtrada last December and said the clinical trials for the drug were not adequate. 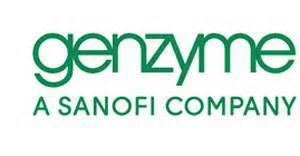 The medication is a key component of the $20 billion acquisition by Sanofi in 2011 of Genzyme Corp. The injection, which is given over two periods a year apart from one another that last for a number of days each was approved last year in Europe. In addition, to Aubagio a pill from Sanofi, the approval gives Sanofi two treatments for MS in the United States, which accounts for over 60% of the worldwide market for the disorder. The FDA announced that Lemtrada should be reserved generally for patients who have not benefitted fully from two other MS treatments. The drug is also available to patients via a restricted program of distribution because of its potential serious risk from the treatment that include at times autoimmune conditions that can be fatal, and malignancies including thyroid cancer. Currently about 10 treatments exist for MS that is relapsing and remitting. Those include Biogen Idec’s Avonex and Teva Pharmaceuticals Copaxone. Multiple sclerosis, which is a neurological disease can sometimes cause severe disability and affects over 350,000 people across the U.S. It is twice as apt to occur in women. Patients are given five Lemtrada infusions the first year. That is then followed by three the next year. Data presented in September showed 70% of the people in the clinical trials did not require any further treatment after two years. The drug has a cost of $158,000 over a period of two years, in comparison to $135,000 for Rebif by Merck.